Here is another gem from the Magic Egyptian which can now be enjoyed on DVD. 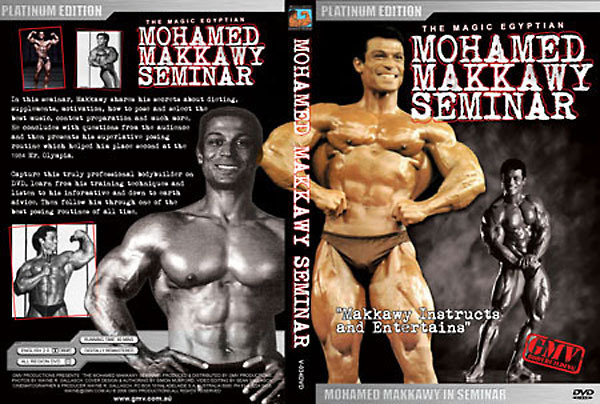 In this seminar, Makkawy shares his secrets about dieting, supplements, motivation, how to pose and select the best music, contest prep and much more. He concludes with questions from the audience and then presents the superlative posing routine which helped him place second at the 1984 Mr. Olympia. Mohamed had a fabulous career from 1972 to 1999 - twice placing second in the Mr Olympia. See his Contest History below.